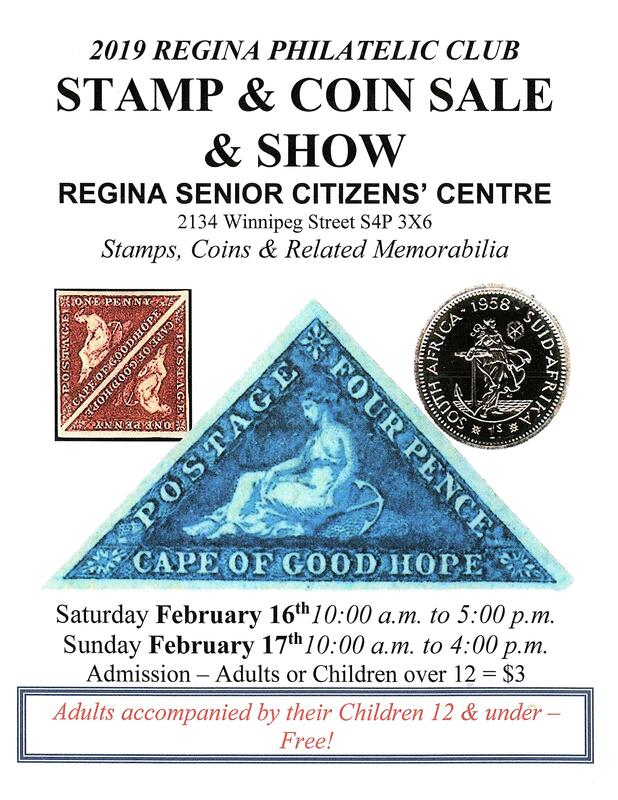 In case you haven’t, here is a reminder of Regina’s Premier Stamp Show and Sale, coming up in 10 days!. Regina Stamp Club Show Committee. Please let me know of Dealers that are attending. Possibility one or two could attend the Edmonton Spring National Stamp Show March 23 & 24th Thank you.